One year on from the full introduction of changes to rules surrounding the electronic tagging of sheep, auction marts continue to keep the cost down for farmers and ensure the transition goes as smoothly as possible. 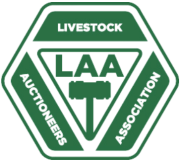 The Livestock Auctioneers Association (LAA) and its members have been working hard alongside the NSA in discussions with Defra to help farmers who are bringing their sheep to market. To help with the process the LAA and its members volunteered to act as Central Point Recording Centres (CPRCs) - reading and recoding the ID tags of sheep that come to market so farmers don't have to invest in expensive reading equipment to record sheep ID numbers before they leave the farm. Chris Dodds, LAA Executive Secretary, said: "Working with the NSA we have developed a system whereby farmers can move their sheep to auction marts without the need to document individual ID numbers on all movement documentation - we do it for them when their sheep arrive at the market. "Otherwise, farmers would need to read and record every single tag before their sheep leave their premises. This not only takes up time, but it also potentially costs lots of money because they would have to invest in expensive electronic reading equipment and facilities. "This cost has been shouldered by the auction marts, not as a way of guaranteeing 100% accuracy - it is accepted by government departments, local authorities, RPA and the industry trade bodies that 100% accuracy 100% of the time is not achievable, especially through high throughput premises such as livestock markets. But as a way to help farmers with the whole process and save money." Under the rules, all slaughter and store lambs, under 12 months of age can be identified with a single electronic ID slaughter tag (EID), while sheep over 12 months of age and breeding sheep must be 'double tagged' (one of which must be electronic). All double tagged sheep that are moved must have their individual tag numbers recorded in the farmer's flock register, whereas the single EID slaughter tagged sheep can be recorded by their flock numbers as a batch. Older sheep tagged pre 2010 (the historic flock which is likely to have non EID) can be recorded as a batch when moving directly to an abattoir or to an abattoir directly from an auction market. How-ever, the difficulty arises if they are purchased and moved to another holding, resulting in the need for their individual ID number having to be read and recorded in the farmer's flock register. Mr Dodds said it was therefore in the interest of all farmers to re-tag their historic flock sheep using EID. Not only would this help auction marts acting as CPRCs but it would also ensure the farmer could achieve the best price for their livestock. "There's no legal requirement to electronically tag the historic flock - but all individual numbers must still be recorded if they are moving to another holding," Mr Dodds said. 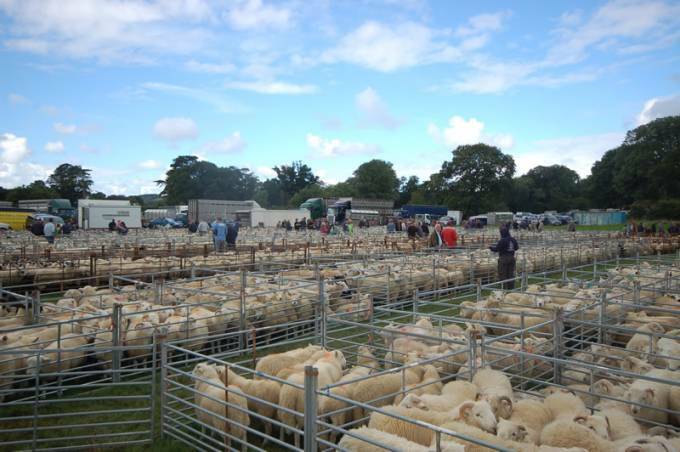 "In 2014 there were more than 13 million sheep sold through auction marts in Great Britain - it's therefore impossible for auctioneers to stand there and read and record every tag if they're not electronic. "As a result, several members of the LAA have asked all vendors to re-tag their historic flock prior to presenting them at market. "It's important for farmers to help us by bringing their sheep to market with all their tags in place - preferably double tagged with full EID which can simply be scanned, rather than having to manually read and record a 16 digit number on a conventional ear tag that could be scuffed, broken, or nearly illegible. "You might also have a situation where auctioneers announce at the time of sale that such pens of ewes - without EID - can only be purchased and moved directly to slaughter, due to the complications of manually reading their ear tag numbers if they do not move from the market directly to an abattoir. This will obviously have an impact on the price achievable for them." Mr Dodds said that moving forward into 2016 the LAA and other parties would be fighting to try and secure some leeway with regard to an accepted tolerance level for sheep identification reading rates. "At the moment, if a farmer has only accounted for 98% of their sheep in the flock register it presents a problem because they have to find the last 2%," he said. "But what we and others are arguing is that 98% still gives you good traceability. The technology that we are using isn't infallible. There needs to be some flexibility."